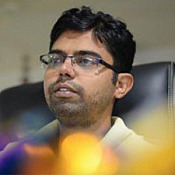 I am CEO & Founder at Enkrishiv. At Enkrishiv we offer Digital Marketing solution and Web Development services. Enkrishiv offers world-class Digital marketing service and web development service, WordPress web development, Magento e-commerce development, local SEO service, guest blogging, link building service, app store optimization service. Bharat hasn’t received any thanks yous. Bharat doesn’t have any fans yet. Bharat isn’t following anybody yet.